Taxes: In total, how much do Americans pay in taxes? For what? To whom?. 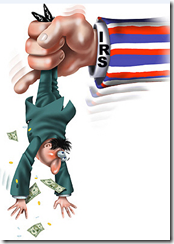 Americans pay a tad over $5 trillion in taxes to the Feds, States and Local Governments. Technical note: In government parlance, the taxes are called “revenue”. Nums: What percentage of Americans prepare their own taxes? How many of them like it? Pew Research says that overall, 33% of Americans say they do their own taxes while 56% say someone else prepares their taxes. A majority of Americans (56%) have a negative reaction to doing their income taxes 1 in 4 say they hate doing them. About a third (34%) say they either like (29%) or love (5%) doing their taxes. 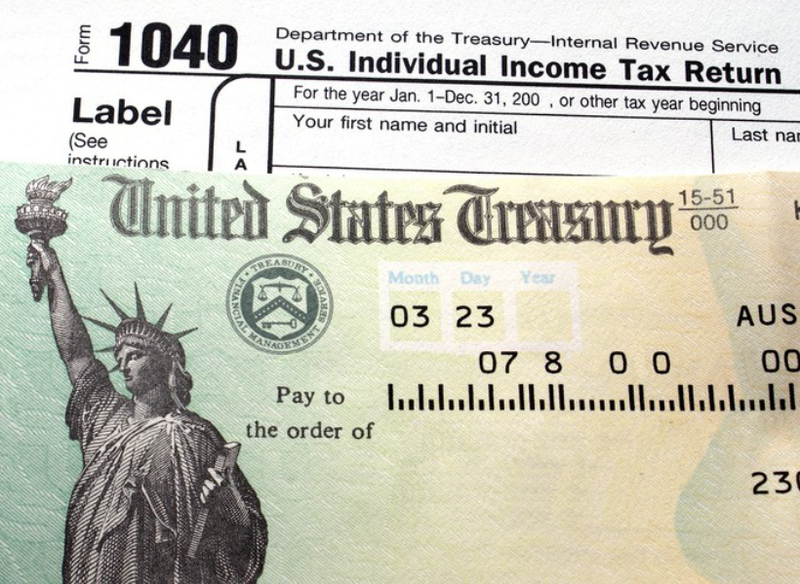 What percentage of Americans prepare their own taxes? How many of them like it? Overall, 33% of Americans say they do their own taxes while 56% say someone else prepares their taxes. 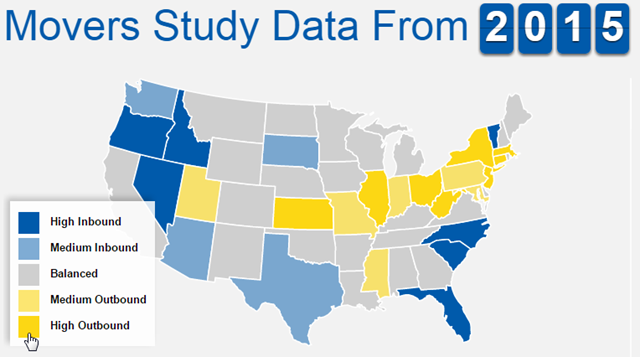 Tax Migration: Which states are losing income? Which are gaining? Stated simply, the IRS captures data from income tax returns – tracks year-to-year changes in the filer’s address (intra or inter-state) – aggregates the data by county (and state) – and calculates the net movement on AGI in and out. Below is the overall, U.S. map – red indicates a net income outflow; green indicates a net income inflow. 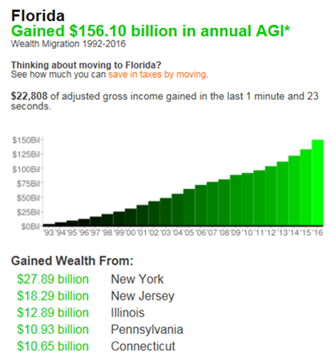 No surprise, Florida is the big winner with a cumulative annual AGI inflow of $156 billion. Drilling down is where things get interesting. Florida’s increase net inflow has been on a steady rise. 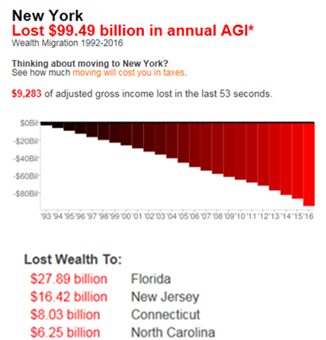 Most of the “new” money is from high tax & spend states: New York, New Jersey and Illinois. On the flipside, New has had a steady net income outflow to low-tax Florida and North Carolina … and its sisters in the Tri-State area – New Jersey and Connecticut. If you want to get more granular, How Money Moves lets you drill down to the county levels to track movements. To have some fun slicing and dicing, go to the How Money Walks website and just point & click. WARNING: Playing with this data can get addicting. Thanks to GFB for feeding the lead. Loss of SALT deduction may be the straw that breaks the camel’s back. Last week, we reported some moving data from United Van Lines that indicated “moving deficits” in high tax & spend states: Illinois, New York, New Jersey, Connecticut, Massachusetts. We expressed surprise that California was rated as “neutral” not “outbound”. Well, according to the Sacramento Bee, it’s just a matter of time. Now, that’s not a certainty, and the state is considering some very creative (and, somewhat laughable) ways to offset the likely drop in individual tax receipts …. According to a recent Monmouth University poll, 50% of the public believes the federal taxes they pay will go up under the GOP’s tax plan; 25%think their taxes will stay the same, and just 14%say their taxes will go down. The good news – according MarketWatchMarketWatch and the non-partisan Tax Policy Center — is that about 143 million “tax units” (think: households) will pay lower taxes next year and only about 8.5 million will pay higher taxes. That’s a 94% / 6% split. 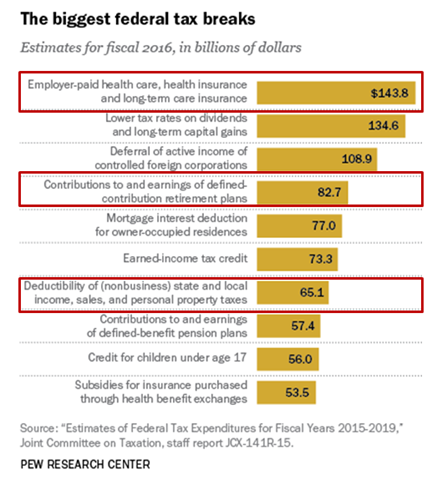 Note: The Joint Committee on Taxation, which is Congress’s independent number cruncher, came up with similar numbers. They found the average tax rate would fall to 19% from 20.7%. The tax rate for those with an adjusted gross income between $50,000 to $75,000 would see their tax rate fall to 13.5% from 14.8%. 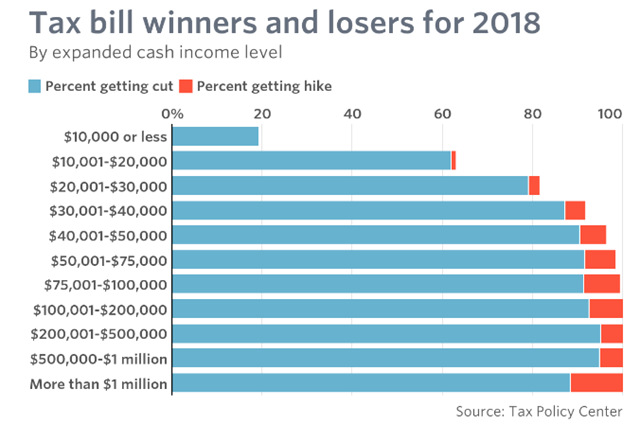 For the most popular bracket — the $50,000 to $75,000 range – the average tax cut will be $870. 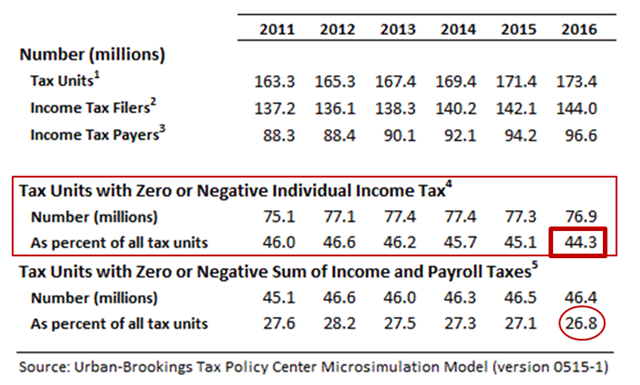 Technical note: The Tax Policy Center slots folks based on “expanded cash income” that includes cash income plus tax-exempt employee and employer contributions to health insurance and other fringe benefits, employer contributions to tax-preferred retirement accounts, income earned within retirement accounts, and food stamps. The big question is whether the tax cut beneficiaries will notice the difference and applaud the tax cut. Obama’s tax cut bigger than Trump’s … say, what? There’s spin … and then there’s dizzying spin. I like to tune in to MSNBC to get a sense of what the far left is saying … and, for pure entertainment value. I had to scratch my head: What Obama tax cut? At first, I assumed that they might be referring to Obama’s billion-dollar stimulus program which gave a dollar-a-day Tax Credit ($400 per worker and $800 per couple) in 2009 and 2010. … and still, nobody seems to be talking about it. Now that the tax reform package is in the books, I should be elated, right? 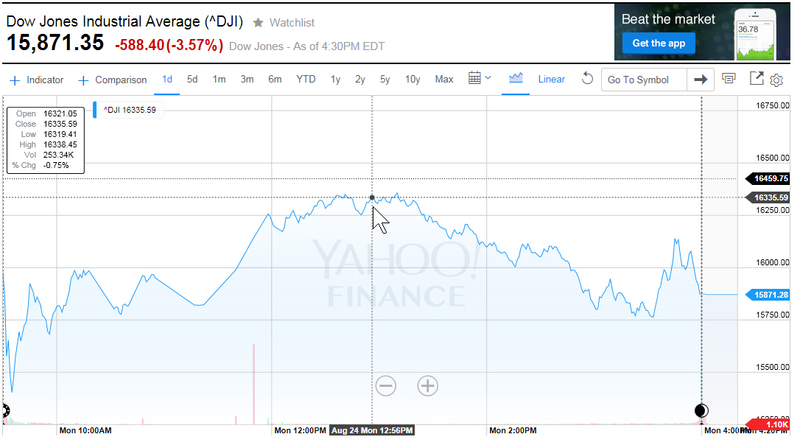 On the plus side, I do think that the stock market will stay el fuego. Selfishly speaking, that dwarfs all of the negatives. Based on my calcs, I’m in the 20% of folks whose taxes are going up, not down. I’m thinking that I may be the only person who doesn’t reside in CA, NY and NJ whose taxes are going up. Ouch. Carried interest is alive and well. C’mon Donald, you promised. And please, don’t tell me that hedge funds and private equity are engines of growth. May be small potatoes re: tax revenue, but it’s what Rudy Giuliani would call a “broken window”. Are Google and Facebook really going to invest their tax savings here in the USA? I’m betting the under on that one. Wish the corporate tax benefits were tied more directly to employment levels. And. my biggest concern is the long-run tilt in voting dynamics. Tax cuts will no longer have any campaign whallop. No, they weren’t deplorables, they were simply the folks who pay no Federal income taxes. Well if the GOP tax plan goes through, the 47% will be be alive .. and well … and growing. Polls: Near-majority opposes GOP tax plan. Gomer Pyle observes: Surprise, surprise, surprise. MSM is taking great delight reporting polls that show a near- majority of opposing the emerging GOP tax plan. Some polls have the opposition as high as 55%. Let’s unpack the survey results …. Is repatriation of cash really a big deal? The WSJ and FT disagree on the impact. I disagree with both. Currently, when a company earns money abroad, it’s taxed in the local jurisdiction where it’s earned … and then the Feds collect U.S. income taxes when the company brings the cash associated with the earnings back to their U.S. accounts. Most folks agree that represents punitive double taxation. So, companies tend to keep the cash associated with offshore earnings parked offshore … deferring U.S. income taxes as long as possible. 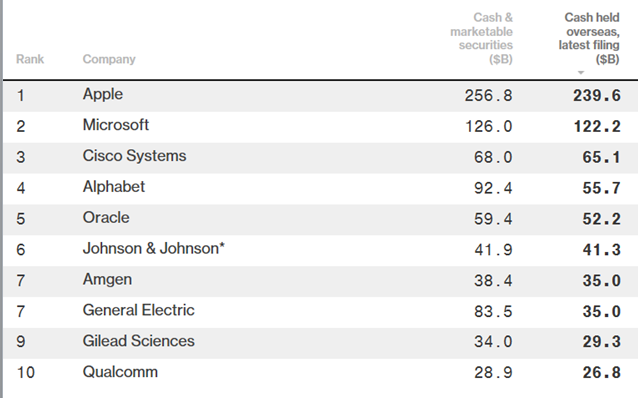 Currently, the 50 top overseas cash holders have almost $1 trillion parked outside the U.S. The GOP tax plan moves towards “territorial taxation” … meaning that U.S. companies will only be taxed in the jurisdiction where money is earned. The GOP tax plan also includes a one-time “deemed repatriation rate” on earnings now held abroad … that rate is proposed to be 14% to 14.49% … lower than the current corporate rate of 35% or the proposed rate of 20%. Why not a deemed repatriation rate of zero? I guess the logic is that the current stockpiles of offshore cash were earned under the old double taxation rules … so the companies “owe” the Feds around 35% … offering a deemed rate of 14% roughly splits the difference between 35% and zero. Which states get hit hardest when SALT deduction is eliminated? Looks like it might just be rich folks paying their fair share. Everybody knows that tax-payers in liberal-leaning states (CA, NY, NJ, MA, CT) will get hit the hardest when the GOP plan to eliminate the SALT (state & local taxes) deduction is disallowed. And, everybody has probably heard Chuckie Schumer whine about how New Yorkers toss more into the government coffers than they get back. The Rockefeller Institute of Gov’t pulled together those 2 observations into an interesting (albeit a bit complicated) chart. The vertical axis basically indicates if a state puts a low or high SALT burden on its residents. The horizontal axis indicates if a state’s Balance of Payments with the Feds is positive (to the left) or negative (to the right). That is, does the state get back from the Feds (in goods and services) more or less that its residents pay in Federal taxes. For example, Hew York is in the upper right quadrant. Chuckie is right: New York (a high SALT state) pays more to the Feds than it gets back. Maryland and Virginia are in the upper left quadrant: residents pay high SALT but get more back from the Feds than they pay in Fed taxes. Reality Check: How much will YOUR income taxes go down (or up)? Here’s a simple online calculator that rudely awakened me. My son who admonished me to “stop calling it a tax cut until you run your numbers” … I finally did run my numbers. For me — a discounted-rate college prof – my Federal income taxes will go up about 30%. The key drivers: (1) loss of personal exemptions ($4,050 times 2) (2) non-deductibility of state income taxes (Virginia has turned purple with a Dem governor) and (3) loss of 1/3 of my local real estate taxes (assuming the House version that still allows $10,000). The alleged reduction in rates doesn’t offset those deductions lost. If you want to see what the likely impact will be on you, pull out the first couple of pages of your 2016 tax return so you can plug a few numbers into the CALCXML online tax calculator. Here’s an example for a family of 4 – husband, wife, 2 kids under 18 … filing jointly … $150,000 combined income … no “unearned investment income” (dividends & capital gains which get taxed at a preferential rate) … $500,000 mortgage @ 4% …. $5,000 local real estate taxes . To bring back jobs, don’t cut the the corporate tax rate … here’s another idea. Last week, we asked: if increasing the number of well-paying manufacturing jobs is important — then rather than the usual proposed bromide of just cutting corporate taxes across-the-board, why not offer employers a double tax deduction for workers’ wages earned in the U.S.? Rather, double the corporate tax deduction for workers’ wages earned the U.S. workers. How can that be? Aren’t we hearing a lot about “re-shoring” and foreign capital investing in U.S. based manufacturing plants? … and nobody seems to be talking about it. 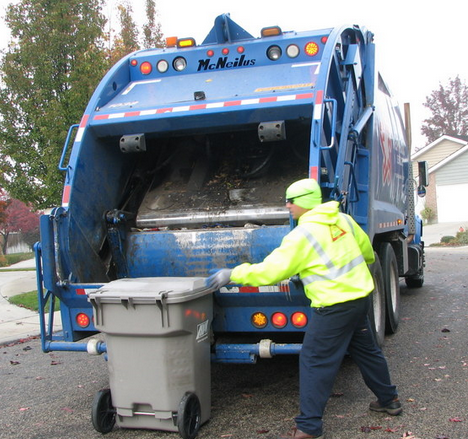 Should my trash pick-up be tax deductible? … and what about HOA fees? For openers, let me declare: I think that I end up worse off under the proposed GOP tax plan. That said, I’m all for eliminating the deduction for state & local taxes. See It’s time to do away with SALT. Here’s why I’m not swayed by the whiners in the high tax & spend states .. In total, how much do Americans pay in taxes? For what? To whom?. Since tax reform is on the front burner, it’s time for some tax facts. 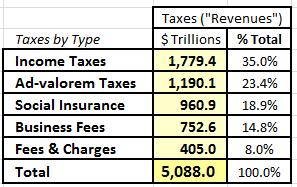 Roughly 1/4 of the $5 trillion in total taxes paid – about $1.2 trillion – is ad-valorem taxes – taxes paid based on the value of something bought or owned. 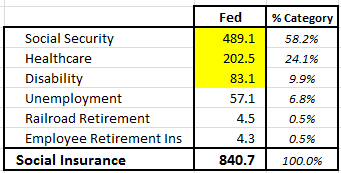 … almost 1/4 of the social insurance payments going to the Feds is for Medicare. All the details — now much? to whom? for what? Isn’t it time to dust off the Simpson-Bowles Report ? Now that tax reform and spending “rationalization” are on the front-burner, I wonder why there has been nary a mention of old Simpson-Bowles Report. You may remember that former President Obama commissioned Simpson, Bowles and a blue-ribbon committee to recommend ways to cut the deficit … and the skyrocketing national debt. The report took shots at some sacred cows like capping home mortgage deductions and taxing employer-paid healthcare. But, S-B had the gall to suggest pulling back some entitlements so Obama deep-sixed the report. Maybe DJT should try to locate a copy. Maybe it’s time to re-visit the Simpson-Bowles Report . OK, he really didn’t say the last part … I added that nugget. The NYT dust-up on Trump’s tax loss carryforward reminded me that Hillary is proposing to jack-up the estate taxes on fat cats. Of course, her favorite billionaire — Warren “I’m with her” Buffet — won’t be subject to the higher estate tax rates. Let’s flashback to my long ago proposed “Buffett Rule” … designed to get fat cats like him to stop whining about their too low taxes and pay their fair share. OK, so what constitutes a sizable estate and how much of it should the government take? NY Times Bombshell: Trump had a tax loss carryforward … disqualifying? P.S. Hillary had one, too (but the NYT missed that one). This would be laughable except it will probably gain more traction with the MSM than Miss Piggy. The New York Times obtained records from 1995 showing that Donald J. Trump declared a $916 million loss. The figure is so substantial that it could have allowed him to legally avoid paying federal income tax for 18 years. Happy Tax Day … and, about the 47%. More interesting: What’s up with Mitt Romney’s infamous 47%? 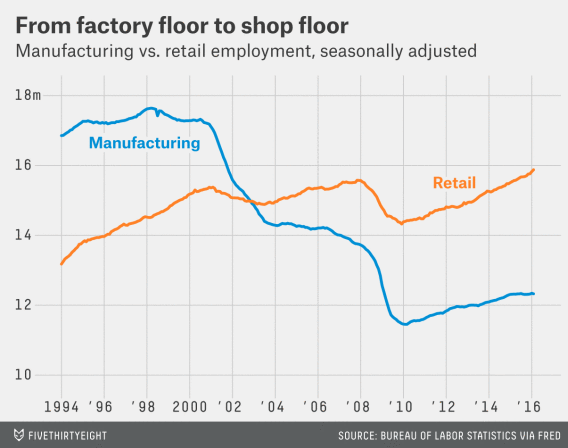 Even if manufacturing may be coming back … manufacturing JOBS, not so much. There’s no mystery why candidates love to focus on manufacturing and trade. Each year, United Van LinesUnited Van Lines published a report indicating the number of net moves made into and out of states. Yesterday, we posted about high frequency traders crowing about their high profits from Monday’s unprecedented stock market volatility. Arguably, their methodology — hinging on fast data and low transactions’ costs — fanned the volatility flames. I was surprised that Bernie Sanders didn’t seize the moment to say “I told you so” … and to pitch his Financial Transactions Tax. Dem-Socialist candidate Bernie Sanders doesn’t serve up much that I agree with … but, there is one reheated idea that I half-support. Sanders proposes that financial transactions be taxed … roughly 1/2% for most trades … slightly lower for for some categories of investments … say, Municipal Bonds. 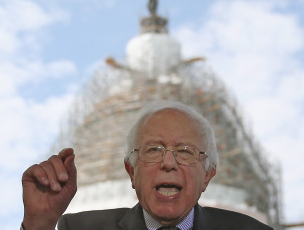 Sanders would use the new tax proceeds to fund public college for low-income students. 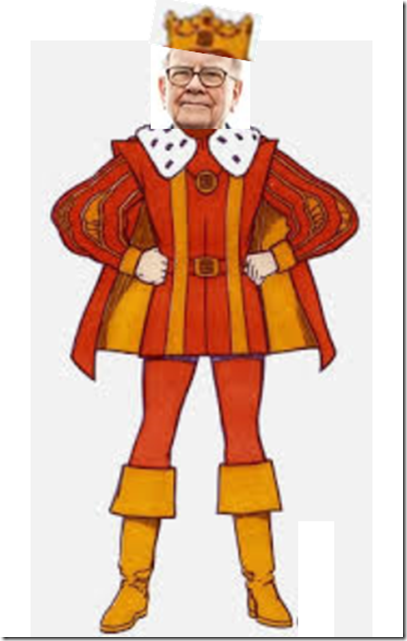 High frequency traders crow: “Best day since the 2010 Flash Crash” … say what? Yesterday was a historically spectacular day on Wall Street … DJIA down 1,000 on the open, rebound by about 750 points, back down by 750. Geez, was the world’s economic structure changing that much hour-to-hour? Was new economic information flowing in at warp speed? Sure, there was a deepening understanding that the market is over-valued and that China’s economy is in trouble. That explains a big correction, but what about the hour to hour volatility? Jet: Start-up targets Amazon and Walmart … say, what? After months of testing and and network-building, the e-commerce start-up Jet.com opened its digital storefront last week, marking the official kickoff of the company’s ambitious effort to battle Amazon and Walmart for price-conscious customers. According to the Washington Post, Jet is taking a new approach to pricing. Its algorithm doesn’t simply look at the price of each individual item in your online shopping cart. It looks at all the items you want to buy, as well as your Zip code, to determine which retailer or warehouse can ship that unique combination of items to you the cheapest. Shoppers can only buy things on Jet if they’ve signed up for a $49-per-year membership. Nums: Who pays taxes? Who benefits? 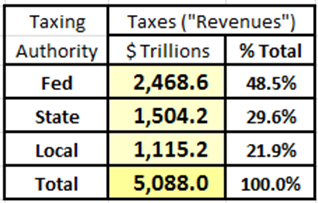 In a prior post, we drilled down on taxes … or, as my Dem friends would say government “revenues”. 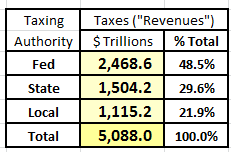 We posted that in 2012 Americans paid a tad over $5 trillion in taxes to the Feds, States and Local Governments. Drilling down, the $5 trillion is split roughly 50%-30%-20% to the Feds, States and Locals, respectively. 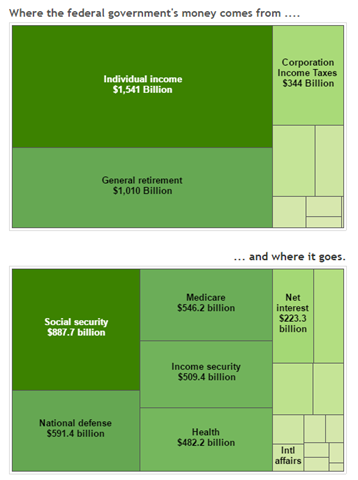 Note that the Federal portion is just under $2.5 trillion. If these are “revenues” there must be matching services provided, right? I found a study by the non-partisan Tax Foundation that analyzes taxes paid and benefits received. The study is old – using 2004 data – but, in my opinion is a good starting point to calibrate the answer. Just finished this year’s taxes. As a result, my state tax bill paid in 2013 was higher than usual … Virginia’s share of the capital gains. At first I was delighted this year. Because, on my Federal return, I could deduct the higher-than-normal taxes that I paid to Virginia. Unfortunately, the thrill was short-lived. I’d forgotten about the AMT … you know, the Alternative Minimum Tax. I’d forgotten, but TurboTax hadn’t. Bottom line: My VA tax deduction got wiped away by the AMT calculation. Like many folks, I had internalized that state income taxes are annoying, but no big deal since they get written off at the Federal level. 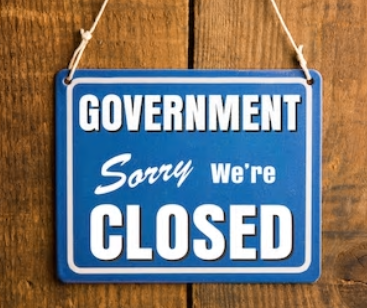 Not so if you’re among the millions of Americans who get snared in the AMT trap. A couple of years ago I jumped on the bandwagon and e-filed my first ever tax return. A couple of weeks later I was an identity theft victim. I can’t prove the connection … I also can’t shake the suspicion. Now, crooks have a new online hack: filing online returns that claim other folks refunds. I good friend just got burned on this specific new tax hack. Why is gas cheaper in New Jersey? I’ve always wondered that … especially since NJ is the only place on Planet Earth that won’t let you self-pump your own gas. Gotta wait for the attendant to notice you’re there and do it for you. Of course, the attendants don’t look like the guy in the picture. They all look like folks who should be reported to Homeland Security. 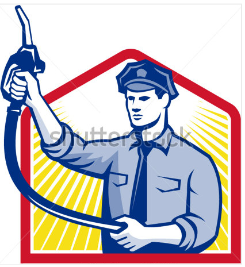 My point: having attendants should push gas prices up, right? A common hypothesis is that there are a lot of gas storage facilities along I-95. That doesn’t square since there isn’t much gas drilled in the local area. Flashback: Buffett says”increase taxes on estates” (since mine is sheltered). OK, he really didn’t say the last part., I made that up. 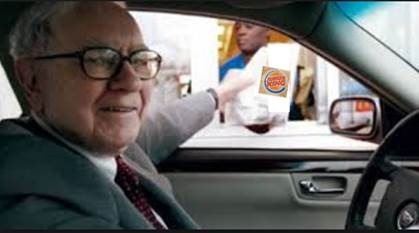 Is that Warren Buffett driving BK’s getaway car? This one is too good to be true. Burger King is planning to buy Tim Hortons – a Canadian coffee-and-doughnut chain. Conventional wisdom is that BK isn’t strategically driving thru the doughnut hole left by Krispy Kreme’s woes. Though the company denies it, BK seems aimed at turning things upside down tax=wise. You know, “invert” itself into a Canadian company so that it doesn’t have to pay U.S. taxes on money it earns outside the boundaries of the U.S.
Here’s where things start to get interesting …. Fed are raking in the dough … and still spending more than they get. Who to trust: TurboTax or Revenooers? Based on the TurboTax calculations, he filed for a refund of $2,582. A few weeks later, the State sent him a refund check for $3,556. Not quite Power Ball, but a nice surprise. Tax havens … and tax hells. A couple of economists at a German think tank put together a “tax attractiveness” ranking based on 16 different variables. Out of 100 nations, the German economists rated the U.S. #96 … in the pack with Indonesia, Philippines, Zimbabwe, Japan and Egypt.